The Profit is Available for Download! The February 2014 Edition of The Profit Newsletter is available for download just in time for our Atlanta REIA Main Meeting on February 3rd. You can download The Profit Newsletter as a High Quality PD or Low Res PDF for slower devices. The Profit is the official newsletter of the Atlanta Real Estate Investors Alliance and is a digital, interactive newsletter for new and seasoned real estate investors delivered as an Adobe PDF file to read on your PC, Mac, Smart Phone, iPad or other mobile ready devices with a PDF reader. Many of the articles and ads in The Profit contain many hyperlinks you can click or tap to visit websites, watch videos, listen to audios, download content, send emails, comment on articles, share socially and much more! The high res version of The Profit is “print ready” for those who want to print the newsletter on their home or business printer. Also, be sure to Subscribe to The Profit Here so you don’t miss a single monthly issue. See The Profit Archives for our past editions. Every once in a while, I like to take a close look at my business to make sure I’m still reaching my full income and personal potential. Hopefully, you do the same from time to time, because it takes diligence to maintain success for the long haul. Students of mine know that if something isn’t working well, it means one of three things: their business is underfunded, underexposed, or undermanaged. This basic principle hasn’t changed since I started investing in real estate in 1997. But how you meet that third requirement – adequate management – has changed a lot, because one of the keys to good management is the productive use of available technology. And boy, has technology changed since 1997! Where is Your Market Place? In last month’s article we discussed Step #2 of “Determining Your Marketing Plan in 7 Easy Steps” which was to “Determine Your Market”. In Step 2 we covered “Who and What is Your Market”. Using Wholesaling as our investment strategy, we determined that our ideal property prospect was a distressed, vacant, ugly house with no mortgage or a low loan balance. Our ideal seller was a motivated seller who needs to sell and often needs to sell quickly. We also determined that our ideal buyers for these distressed properties were other real estate investors such as rehabbers, landlords, wholesalers and hedge funds who can pay all cash and can close quickly. Where will you find motivated sellers with distressed properties for sale? Will you target your entire metro area to find these properties or only certain counties, townships, zip codes or neighborhoods? Will your buyers want to purchase homes in the areas where you have inventory? Are there certain areas you should avoid? What is Your 2014 Headline? What do you need to keep you inspired? What is blocking you from success in real estate? Is your personal life interfering with your professional life? At the beginning of 2014, I focused on goal setting. This year, I want to offer you simple techniques for creating and getting support with your investments. In our last article, we talked about Constructing Offers, so now we have to decide how to present them. The first step is to decide what your offer’s going to be. If you’ll remember, you can either lease option the property from the seller, you can buy it with owner financing, you can take it subject-to the underlying debt or sometimes you can pay all cash when you’re dealing with FSBOs. You make this call by looking at the math on the property information worksheets as we discussed last month and deciding what your exit strategy is going to be. Are you going to stay in the deal or get out of the deal by flipping it on an ACTS? It’s Impossible to Run a “4” Minute Mile Before You Learn How to Walk! I recently had a telephone conversation with one of my students who asked me what I thought was going to be the next best strategy to use to do more deals in 2014. My student is thinking the market is making a real come back. He is very excited because he is seeing house prices starting to go up, house sales are increasing every month and he had just been told by a traveling Guru that the market has huge profit potential and the market is headed back to 2006 price levels just like it was before the crash. If you’re a Baby Boomer or a Gen Xer, then you’re thinking more and more about retirement – mainly, how are you gonna afford it? After all, we all know that Social Security is not much of a retirement plan. This need-to-know desire is driving lots of folks to learn about real estate investing. After all, more folks have achieved financial freedom from real estate than from all other types of investments – combined! The question we’re continually asked is, “What’s the best way to learn how to successfully invest in real estate?” Here’s a hint: All those TV infomercials are nothing but hot air. Those “gurus” who come to town offering a “free” seminar are just snakes in the grass…but then, you already know this. After 19 years of investing in real estate, we’ve learned that the two best ways to learn are 1) Meet with sellers and ask Pete Fortunato’s famous question: “Why are you selling such a nice house like this?” 2) Hang out with been-there-and-done-that investors. But here’s where it gets interesting. So keep reading, won’t you? Typically, if you can’t get a deal negotiated with a seller (usually because they don’t want to accept your low, wholesale price offer), you’d be stuck. You’d either throw the lead in the trash, or you’d ask them if it would be ok to call them back in a few weeks to see how things are going, then remind them of your offer to buy at your low price. Yeah, sometimes you’d get those offers accepted. Sometimes. So what do you do if you still want to profit on this deal that you’ve already spent some time on? One of my favorite techniques for locating motivated sellers in my real estate investing business is to create direct mail campaigns targeting Senior Home Owners in my area. These homeowners are a good source of leads for my business for a variety of reasons. After having bought and sold hundreds of properties throughout my real estate investing career, I have discovered that senior home owners may be interested in selling a property for many reasons. Most of the time these homes are in nice neighborhoods where people want to live. Did the title of the article get your attention? I thought so. Money does love speed. Money in general loves speed. That means getting off your “you know what” and putting in to action whatever it is that needs to be done in your business (and in life). And the faster you do it, the more likely you are to be rewarded for it, financially. This will be one of my resolutions for this year – act with more Speed. Let’s face it. You’re not getting any younger, the clock is always ticking. And, the sooner you realize the inherent value of speed, I promise you this; the more seriously you take your goals, the more urgency you will build into your daily habits. Ever watched a commercial for some gadget or concept that you had thought of in the past and said “hey – that was my idea”? It may have been your idea and you should have acted on it. Instead, somebody else did and now they are billionaires. (Yep – I thought of Facebook too, but Mark Zuckerberg beat me to it). But I’m not talking about just ideas. In general, things tend to work out better when you act on it faster. I don’t recall ever succeeding at something because I got there last. When you know the best pockets or market areas around the U.S. to find discounted real estate, you are half way home. All that is left is evaluating the inventory for maximum profit. For those of you connected to REIAComps , the control and feeling of confidence you have over your deals is priceless. Using REIAComps to investigate the value of “Shadow Inventory” houses as they come to market, against the recent sold comparables, will provide you a solid position to “make your profit when you buy”. First, let’s define “Shadow Inventory”. 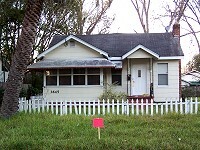 The general definition goes like this; the current stock of properties in the shadow inventory, also known as pending supply, by calculating the number of properties that are seriously delinquent, in foreclosure or held as REO by mortgage servicers, but not currently listed on multiple listing services MLS’s. Homeowner Associations Increase Short Sale Aggravations! When working with a Seller on purchasing a short sale it is very important to know the terms and conditions that the new buyer must uphold with the Homeowners Associations. Recently, we started working on a short sale wherein the Seller owed the Homeowner Association a fee of $457.00 per month and another Homeowner Association issue wherein they would only allow the Buyer to be an owner occupant. The Homeowner Association claims that the percentage of rentals have been filled and since that quota was met, this leaves only owner occupants eligible to purchase the property. Now your pool of buyers has been decreased greatly leaving only homeowners to buy the property.